We have worked closely with many Physicians and Physician practices over the years, to help guide them through their financial lives, and create a game plan for their financial future. We understand the complexity of physicians’ finances and the unique issues that physicians and their peers confront, i.e. shrinking reimbursements, increasing overhead, cash flow volatility, and shortened savings time horizon. Due to these circumstances, Physicians cannot afford to make financial mistakes. Whether you are paying down debt, accumulating wealth, saving for your children’s college, planning for retirement, protecting your assets or distributing your assets, physicians need a detailed road map to get them to their desired destination. The demands on medical practitioners today can seem overwhelming. It's no secret that health-care delivery is changing, and those changes are reflected in the financial issues that health-care professionals face every day. You must continually educate yourself about new research in your chosen specialty, stay current on the latest technology that is transforming health care, and pay attention to business considerations, including ever-changing state and federal insurance regulations. Like many, you may have transitioned from medical school and residency to being on your own with little formal preparation for the substantial financial issues you now face. Even the day-to-day concerns that affect most people--paying college tuition bills or student loans, planning for retirement, buying a home, insuring yourself and your business--may be complicated by the challenges and rewards of a medical practice. It's no wonder that many medical practitioners look forward to the day when they can relax and enjoy the fruits of their labors. Unfortunately, substantial demands on your time can make it difficult for you to accurately evaluate your financial plan, or monitor changes that can affect it. That's especially true given ongoing health care reform efforts that will affect the future of the industry as a whole. Just as patients need periodic checkups, you may need to work with a financial professional to make sure your finances receive the proper care. Much like medicine, the field of finance has been the subject of much scientific research and data, and should be approached with the same level of discipline and thoughtfulness. Making the most of your earning years requires a plan for addressing the following issues. Your years of advanced training and perhaps the additional costs of launching and building a practice may have put you behind your peers outside the health-care field by a decade or more in starting to save and invest for retirement. You may have found yourself struggling with debt from years of college, internship, and residency; later, there's the ongoing juggling act between making mortgage payments, caring for your parents, paying for weddings and tuition for your children, and maybe trying to squeeze in a vacation here and there. Because starting to save early is such a powerful ally when it comes to building a nest egg, you may face a real challenge in assuring your own retirement. A solid financial plan can help. 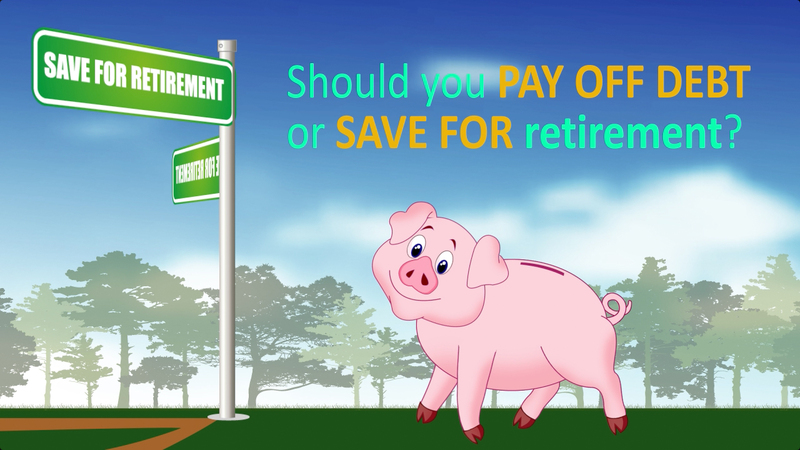 Getting a late start on saving for retirement can create other problems. For example, you might be tempted to try to make up for lost time by making investment choices that carry an inappropriate level or type of risk for you. Speculating with money you will need in the next year or two could leave you short when you need that money. And once your earnings improve, you may be tempted to overspend on luxuries you were denied during the lean years. One of the benefits of a long-range financial plan is that it can help you protect your assets--and your future--from inappropriate choices. Many medical professionals not only must pay off student loans, but also have a strong desire to help their children with college costs, precisely because they began their own careers saddled with large debts. Once the lean years are behind you, your success means you probably need to pay more attention to tax-aware investing strategies that help you keep more of what you earn. The nature of your profession requires that you pay special attention to making sure you are protected both personally and professionally from the financialconsequences of legal action, a medical emergency of your own, and business difficulties. Having a well-defined protection plan can give you confidence that you can practice your chosen profession without putting your family or future in jeopardy. Medical professionals are caught financially between rising premiums for malpractice insurance and fixed reimbursements from managed-care programs, and you may find yourself evaluating a variety of approaches to providing that protection. Some physicians also carry insurance that helps protect them against unintentional billing errors or omissions. Remember that in addition to potential malpractice claims, you also face the same potential liabilities as other business owners. You might consider an umbrella policy as well as coverage that protects you against business-related exposures such as fire, theft, employee dishonesty, or business interruption, up to the policy limits. Your income depends on your ability to function, especially if you're a solo practitioner, and you may have fixed overhead costs that would need to be covered if your ability to work were impaired. One choice you'll face is how early in your career to purchase disability insurance. Age plays a role in determining premiums, and you may qualify for lower premiums if you are relatively young. When evaluating disability income policies, medical professionals should pay special attention to how the policy defines disability. Look for a liberal definition such as "own occupation," which can help ensure that you're covered in case you can't practice in your chosen specialty. To protect your business if you become disabled, consider business overhead expense insurance that can help cover routine expenses such as payroll, utilities, and equipment rental. An insurance professional can help evaluate your needs. Is a group practice more advantageous than operating solo, taking in a junior colleague, or working for a managed-care network? If you have an independent practice, should you own or rent your office space? What are the pros and cons of taking over an existing practice compared to starting one from scratch? If you're part of a group practice, is the practice structured financially to accommodate the needs of all partners? Does running a "concierge" or retainer practice appeal to you? If you're considering expansion, how should you finance it? Questions like these are rarely simple and should be done in the context of an overall financial plan that takes into account both your personal and professional goals. Many physicians have created processes and products for their own practices, and have then licensed their creations to a corporation. If you are among them, you may need help with legal and financial concerns related to patents, royalties, and the like. And if you have your own practice, you may find that cash flow management, maximizing return on working capital, hiring and managing employees, and financing equipment purchases and maintenance become increasingly complex issues as your practice develops. You may have to make tradeoffs between maximizing current income from your practice and maximizing its value as an asset for eventual sale. Also, timing the sale of a practice and minimizing taxes on its proceeds can be complex. If you're planning a business succession, or considering changing practices or even careers, you might benefit from help with evaluating the financial consequences of those decisions. You've spent a long time acquiring and maintaining expertise in your field, and your patients rely on your specialized knowledge. Doesn't it make sense to treat your finances with the same level of care? Much like medicine, the field of finance has been the subject of much scientific research and data, and should be approached with the same level of discipline and thoughtfulness. The average debt burden for a physician graduating from a medical school in 2014 was roughly $176,000.